The mobile crane is described as small but extremely functional and versatile lifting machine, capable to perform everything what the big cranes can. This crane model gives the operators more flexibility when it comes to moving the crane from one location to another. The mobile cranes are generally used for lifting, moving and placing materials and other heavy loads. They are commonly seen in constructions sites, warehouses, manufacturing facilities, mining sites, etc. They are known as reliable lifting machines that are designed for many things. Hydraulic Truck Crane. This type is consisted of a hydraulic system which ensures reliability and enough capacity for heavy lift tasks. These cranes are generally used for major projects such as bridges, buildings, airports, etc. All Terrain Crane. A mobile crane that is capable to perform a variety of functions since it has been designed to work and move easily over paved highways. All-wheel drive, these cranes are powered by one or two engines, featuring hydraulic system which provides great performance. Rough Terrain Crane. As the name suggests, the rough terrain crane is specially designed to work on difficult and demanding terrains. It can be used for pick-and-carry operations such as bridge building and also in big construction projects. Crawler Crane. A type of tracked mobile crane which is available with either telescopic or lattice boom. This crane don’t need outriggers and it is capable to move easily in different job sites. However, the crawler crane is difficult for transportation because of the big size and weight. Carry Deck Crane. This is the smallest type that travels on four wheels, designed with a rotating boom. The carry deck crane is capable to pick up and transport loads in confined spaces. 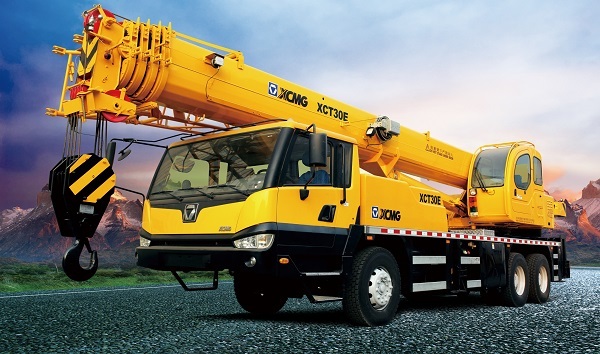 The mobile crane is considered as a complex machine that requires training and experience for safe operation. A proper knowledge can only be obtained through a proper training. The ability to maneuver a mobile crane properly is fundamental for a safe operation.